Rarely does something compel me to write, but an article I came across on Business Insider did just that. Well, the chart that accompanied it did most of the work, take a look. 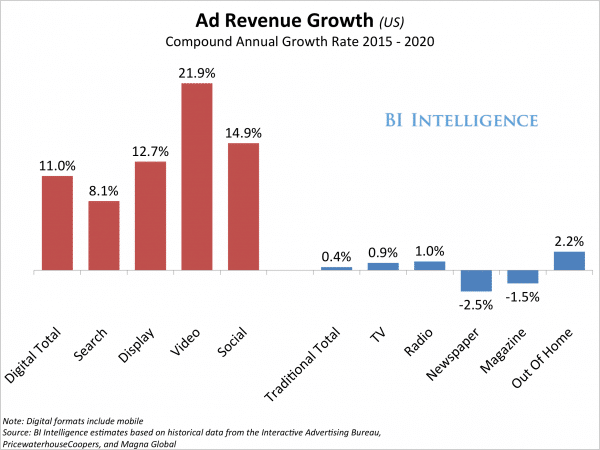 Digital advertising has without a doubt been on the rise. 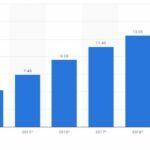 With increasingly more people adopting a digital and mobile lifestyle, the value of digital content has skyrocketed. 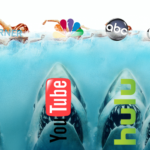 In its wake lies more traditional avenues for delivering content and advertising such as television, newspapers, magazines, and radio. This digital trend isn’t going to stop anytime soon either. 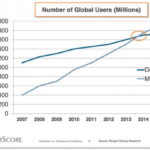 The growth of mobile alone has been enough to get advertisers attention. 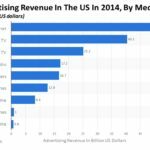 In fact, as the aforementioned chart suggest, money spent on digital advertising, with the hopes of garnering a large chunk of the mobile community, will grow tremendously by the year 2020 with traditional outlets actually shrinking. But that’s not the best part. The biggest winner of this trend? Video, especially mobile video. The amount of ad dollars spent on video alone will eclipse even social media. The reason? Content is king. And what better way to deliver content then with video, which can pack large amounts of important content into a surprisingly small amount of time. Not to mention that mobile video is already a huge hit. 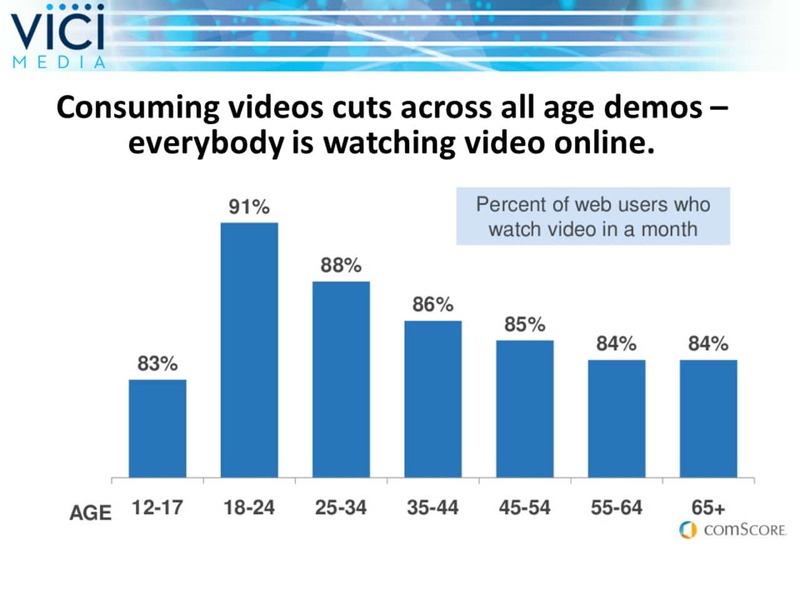 Studies show that almost every demographic watches some form of digital video each month. As you can probably tell, I am a big proponent for mobile advertising as well as mobile content interaction. The mobile platform has become ubiquitous within our daily lives. Everyone has a mobile phone with them and because of that, it has become the preferred way to interact with the digital universe. I am very excited to see that projections have video as the largest investment because I believe video to be one of the best advertising tools, allowing for detailed how-to instructions, candid customer reviews, and even behind-the-scenes footage. 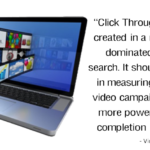 We embrace digital video here at Vici and have had great success with it. If you are as excited about video as much as we are, or would like to make video work for you, let us know. Until next time.